A PEOPLE’S HISTORY OF LONDON takes us into an unofficial, half-hidden and often undocumented world, a city rarely glimpsed: of pamphleteers, agitators, exiles, demonstrations and riots; the city of Wat Tyler, Marx and Engels, Garibaldi and Gandhi; and the countless pubs, theatres, coffee-houses and meeting-places in which radical ideas have been nurtured and revolutions planned. Hub of empire, world port and seat of government: the things that makeLondona centre of wealth and power have also made it a centre of dissent and radicalism. As the home of national government, London is the focal point for protest and its political history is entwined with the lives of its people, a multitude often dismissed throughout the centuries as a ‘mob’. As the government clamps down on protest ahead of the Diamond Jubilee and the Olympics, A PEOPLE’S HISTORY OF LONDON reconnects Londoners to a vibrant and tumultuous political heritage: from the twelfth century rebellion of William Longbeard and the Peasants’ Revolt, to modern fights against fascism and racism in Cable Street and Notting Hill, the Brixton Riots, all the way to the smashed windows of Millbank and the protest camp at Occupy LSX. Published to coincide with the mayoral elections, this counter-history reveals howLondon’s poor and its immigrant population have shaped the city’s history and identity over the ages – and why this is unlikely to change. Politicians and journalists rushed to blame the 2011 riots that began in Tottenham and spread across the country on ‘sheer criminality’. 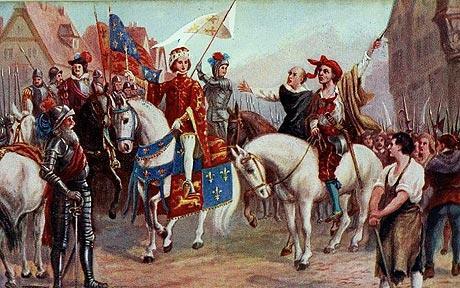 Lindsey German and John Rees show how the same cry from the defenders of the status quo has echoed down the centuries after every riot in London. A PEOPLE’S HISTORY OF LONDON tells the story ofLondonas a theatre of political activism, with a focus on the lives, actions and words of the actors themselves. Asking why London has such a history of radicalism, German and Rees trace the source to many of the same elements which contribute to the alienation of so many from the city – staggering inequality and the size and impersonality of the fast- paced metropolis – and look at how the Olympic city of the twenty-first century is reproducing the conditions that gave rise to radical and socialist ideas in the past. JOHN REES is a writer, broadcaster and activist. His books include THE ALGEBRA OF REVOLUTION and IMPERIALISM AND RESISTANCE and he is co-founder of the Stop the War Coalition. LINDSEY GERMAN is a socialist writer and activist who has lived inLondon all her life. She is convenor of the Stop the War Coalition, stood as candidate for Mayor of London and has written books on women’s liberation, class, and war. 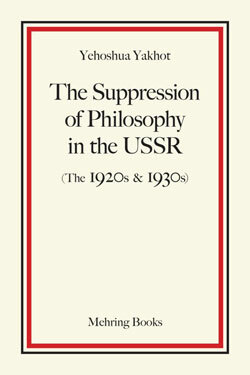 Mehring Books is proud to announce the publication of Yehoshua Yakhot’s The Suppression of Philosophy in the USSR (The 1920s & 1930s). Originally published in Russian in 1981, this unique history of early Soviet philosophy is now available for the first time in English, translated by Frederick Choate. Yehoshua Yakhot (1919-2003) was a professor of philosophy in the Soviet Union until forced to emigrate to Israel in 1975. While in emigration, he finished writing the book begun in Moscow years before. Yakhot’s book is essential reading for an understanding of the counter-revolutionary role of Stalinism and its devastating impact on every aspect of Soviet thought. Rare among works dealing with this period, Yakhot presents an objective account of the theoretical role of the major figures in the early Soviet Union – including, most significantly, that of Leon Trotsky, co-leader with Lenin of the Russian Revolution of October 1917. The book describes the flourishing of philosophical discussion after the revolution and ensuing Civil War. By 1922, the major theoretical journal Under the Banner of Marxism had been founded at Trotsky’s urging. The first two issues contained letters from Trotsky and Lenin that constituted the program of the journal. By the mid-1920s, two contending camps had formed in philosophy: the mechanists and dialecticians. The relatively free debate between them on many complex issues was followed by Stalin’s intervention in December 1930. In a ferocious reaction against the theoretical foundations of the October Revolution, Stalin sent countless genuine Marxists to their deaths during the Great Terror of 1936-1938. Prior to the opening of the archives in the late 1980s and early 1990s, Yakhot presents the largely unknown history of many of the Marxist philosophers victimized by Stalinism. The subjects covered in the book include: the subject matter of Marxist philosophy; the problem of contingency; the principle of partisanship in philosophy; Hegel and Marxist dialectics; Spinoza’s place in the discussions of the 1920s and 1930s; the rejection of ideology by Marx and Engels; the influence of Bogdanov’s ideas; the inevitable crisis of Soviet ideology; and continued attempts to conceal the crimes of Stalinism in the USSR. This new English edition contains photographs, biographical information, an index and two letters by Trotsky and Lenin. We are delighted to announce that the first issue of JOMEC Journal is now online! Note by Glenn: All articles available in PDF format. This is a well presented and exciting new journal. There is also a Call for Papers on the following topics: Migration; PR and News; Comparative Journalism; Journalism, Affect and Emotions; and New Media Technologies. There is still time to submit your paper to this special issue. The special issue, for October 2013, addresses the many ways in which genetic knowledge and technologies intersect with the formations of personal, social, cultural, racial/ethnic and national identities in contemporary societies. 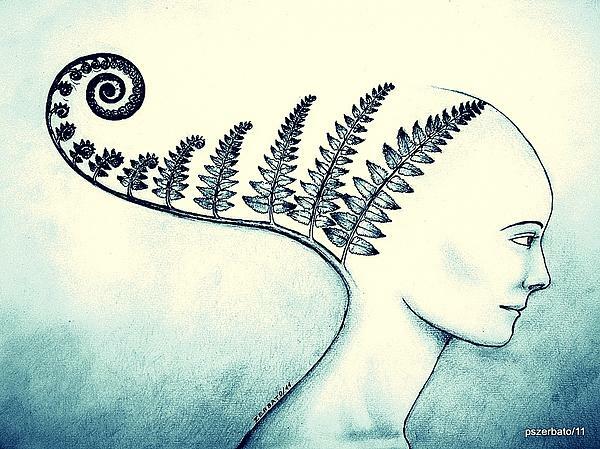 It will bring together sociological analysis of identity concepts and practices with reflections on the role of genetic knowledge in the formation of contemporary identities. Marxist-Humanist Initiative is hosting a screening and discussion of a new documentary on the ideas of Raya Dunayevskaya this Thursday night in NYC. Details are below. 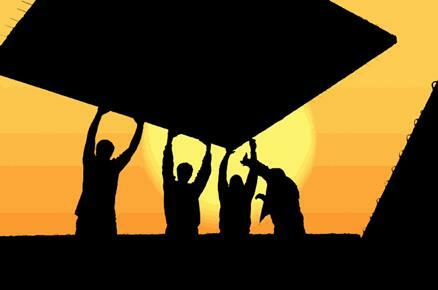 Film and Discussion:– THURSDAY JUNE 28, 6:30 TO 9:00 P.M.
Marxist-Humanist Initiative will screen and discuss a new documentary film about the ideas of the philosopher, activist, and feminist who developed Marxist-Humanism over much of the last century. This month marks the 25th anniversary of her death. The film’s title and content follow from Dunayevskaya’s declaration that her biography ‘is the biography of an idea’. 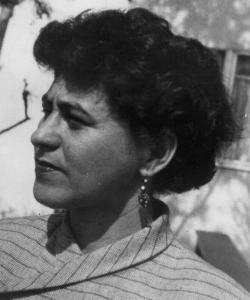 Dunayevskaya was the author of Marxism and Freedom, from 1776 to Today; Philosophy and Revolution, from Hegel to Sartre and from Marx to Mao; Rosa Luxemburg, Women’s Liberation and Marx’s Philosophy of Revolution; American Civilization on Trial, Black Masses as Vanguard, and many other works. The film emphasizes how contemporary her ideas remain today. The film-maker will be present for the discussion by Skype. Contribution requested but not required. Workers of the World – International Journal of Strikes and Social Conflict is a peer-reviewed academic journal in the English language, for which manuscripts may be submitted in Spanish, French, English, Italian and Portuguese. Workers of the World publishes original articles, interviews and book reviews in the field of labour history and social conflicts in an interdisciplinary, global, long term historical and non Eurocentric perspective. It publishes articles about crisis, working classes, internationalism, unions, organization, peasants, women, memory, propaganda and media, methodology, theory, protest, strikes, slavery, comparative studies, statistics, revolutions, cultures of resistance, race, among other subjects. The first issue of Workers of the World. International Journal on Strikes and Social Conflict will appear online at the end of June 2012. The journal is an important step to consolidate the initiative, decided on at the Lisbon Labour Conference in March 2011, of creating an international association of researchers and institutions involved in the study of this subject. The working class repeatedly continues to make its presence known and by doing so refutes the pessimistic predictions about the end of social conflicts that were popular in past decades. Different forms of popular struggle emerged in response to deteriorating living conditions, precarious employment of labour, and the change or elimination of social and labour protection legislation. In addition to the renewed labour movement in its classical forms of collective action and organization through strikes and unions, we saw the emergence or re-creation of movements of the unemployed or underemployed, of the landless and the homeless, just to mention some of the most widely known. Despite numerous attempts to theoretically declare the end of social classes, strikes, and social movements, the inherent social contradictions in society and workers’ own actions constitute imposing evidence to the contrary. Industrial conflicts repeatedly have intersected with other social conflicts and ethnic, gender and generational issues complexity and renew interest in collective action, bringing in new theoretical and analytical challenges to researchers. Workers of the World: International Journal on Strikes and Social Conflict aims to be innovative. This journal aims to stimulate global studies on labour and social conflicts in an interdisciplinary, global, long term historical and non Eurocentric perspective. It intends to move away from traditional forms of methodological nationalism and conjectural studies, adopting an explicitly critical and interdisciplinary perspective. Therefore, it will publish empirical research and theoretical discussions that address strikes and social conflicts in an innovative and rigorous manner. It will also promote dialogue between scholars from different fields and different countries and disseminate analyzes on different socio-cultural realities, to give visibility and centrality to this theme. ‘I believe in the afterlife. This symposium is an interdisciplinary event that will address performance in an expanded sense and as a form of labour. This means considering performance as an activity and a practice that takes place both within and outside the realm of art. The symposium will interrogate the physical and intellectual experiences of viewing and producing performances; these questions will be raised across the fields of art history, philosophy, performance studies, political economy, theatre and dance. Addressed in this expanded way, the aim of the symposium is to investigate the histories of mass performances and social choreographies in political contexts, to situate performance as a form of praxis and to interrogate the language of performance as a managerial strategy within late capitalism. We invite papers on collective performance; reproductive labour and performance; aesthetics; the political economy of performance; histories of performance; divisions of labour and cultures of management within performance. Whilst theatre by its very nature generally tends to be thought of as a collective performance, the histories of performance art are overwhelmingly oriented towards a singular performer rather than a mass, or collective, and are therefore theorised through the body, rather than bodies. What are the political implications of this occlusion of histories of collective performance? How might this be negotiated by socially engaged or mass performance art? What is the pedagogy of performance? This session aims to raise questions about the aesthetics of performance. Can we think about the aesthetic of performance as anemancipatory, transformative process for performers, rather than an experience directed towards an audience? What forms of aesthetic analyses are capable of theorising performance as a transformative experience? In thinking about our current moment, how have restrictions upon protest, gatherings, and occupations through the use of injunctions and dispersal orders implicated the possibilities of an emancipatory politics of collective movement? Whilst the commodity form and the labour internal to it within art forms such as painting, sculpture and photography have been well examined – mainly through concepts such as reproducibility, technique and craft – performance art has frequently been neglected within this discussion. Many artists during the 1960s used performance as way to escape the increasing commodification of the visual arts and the rapid expansion of the art market. But how can we relate the past aspirations of performance as an anti-commodity to the status of performance art today? How does performance circulate and re-produce itself on the art market and how can we conceptualise the labour internal to its production? We ask for abstracts no longer than 500 words, papers are to be 20 minutes in length. Please send your abstract proposals to performanceandlabour@gmail.com by 23rd of July. The conference will take place on Saturday 3rd November 2012 at University College London. This symposium is organised by Larne Abse Gogarty and Josefine Wikström with support from the Centre for Research in Modern European Philosophy, Kingston University London, and the Centre for the Study of Contemporary Art, History of Art Department, University College London. on Mark Fisher’s Capitalist Realism: Is There No Alternative? This is a reminder that the deadline to propose a paper or panel for the November 2012 Spectrum Journal of Global Studies Conference is 1 July, 2012. The Spectrum Conference will be held in Ankara, Turkeyat the Middle East Technical University from 2-3 November 2012. Proposals are invited on the conference theme Historical Sociology, Historical Materialism and International Relations. Adam Morton, University of Nottingham, U.K.
Benno Teschke, University of Sussex, U.K.
Gonzalo Pozo, University College, London, U.K.
Jonathan Joseph, Rutherford College, University of Kent, U.K.
Kamran Matin, University of Sussex, U.K.
Neil Davidson, University of Strathclyde, U.K.
Stephen Hobden, Universityof East London, U.K. The discipline of International Relations (IR) known as an ‘American’ social science has in the last decade or so been discovering the importance of alternative forms of explaining international relations. More so than any other field of social science, IR has been dominated by positivist conceptions of scientific inquiry. However recent approaches in the philosophy of sciences as well as the sociological turn in IR has changed the boundaries, assumptions and methodologies of our discipline. Critical realism as an alternative to positivist as well as post-positivist understandings of social science is increasingly becoming the dominant form of philosophyzing about IR. Historical sociological approaches are taking over the static, ahistorical forms of theorizing. Marxist social theory has become more and more relevant to explain the current of changes in the international system. Internationalisation of capitalism has made the concerns of Marxism increasingly relevant to understand and explain the ‘international’. Recent controversies on the relation between the state system and capitalist mode of production have made important contributions to understand the link between what is traditionally understood from international relations and capitalist relations of production. These efforts have to go on as there are yet many other untouched aspects of international relations that require desconstruction and dereification. This conference attempts to further our understanding of the links between historical sociology, critical realism and Marxism. Empirical works combining the insights of Marxist historical sociology and historical materialism with that of international relations is particularly wellcome. We are extending an invitation to all researchers to present research that adress the following issues and similar topics. How does a historical materialist geopolitics adress the traditional issues of IR? 2. What is the relation between the state system and capitalism? 3. In what ways does critical realism help Marxism to analyse the international? 4. What are the limits and the potentials of the theory of combined and uneven development to explain the international? We hope to see both individual papers and panels discussing these themes from different disciplinary and interdisciplinary perspectives. We encourage scholars from all around the world to participate in this exciting attempt to link our conceptions of praxis and change with that of what constitutes the ‘international’. Most papers presented in the conference will later be published in a special issue of the Spectrum or in a separate book. We look forward to welcoming you all at METU in Ankara. Check back often for updates through out the coming months! With the London Olympics on our doorstep, a wave of complaints around police racism and youth unemployment at an all time high, The Multicultural Politic is hosting a debate on the reality of multiculturalism in Britain today. We are also using this opportunity to re-launch our blog with a new logo and a strengthened editorial team, during a two-hour plenary and debate at Goldsmiths College in south east London. KEN FERO – co-founder of Migrant Media and independent film maker, notably of the 2001 documentary film INJUSTICE, detailing the struggles of those who lost their lives at the hand of the British state. ESTELLE DU BOULAY – Works for the independent anti-racist and community campaigning organization: Newham Monitoring Project. The event also aims to provide a forum through which different campaigns and thinkers can meet and discuss action in London and beyond, in order to defend and extend the gains made by migrant communities, sexual minority, feminist and working class movements. Drinks & nibbles will be served. 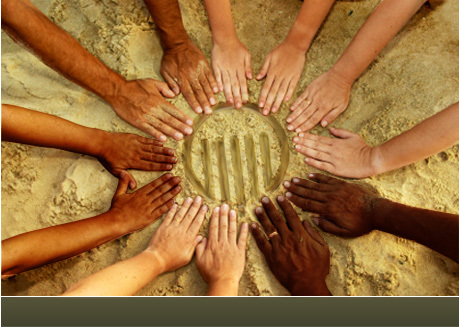 The Multicultural Politic aims to provide a forum through which people from multicultural communities can come together and explore how we can build a more fair, free, equal and democratic world. We aim to serve as an information resource, discussion space and general stimulus for debate in the British political sphere, but also in the international arena. A study group on vol. 2 of Capital will be meeting in Manhattan every other Thursday evening 7-10 PM, starting June 28. Knowledge of vol. l is of course highly recommended, but “beginners” willing to do some background reading are welcome. The group is highly participatory, with all members expected to do 15-20 minute presentations on sections of the reading. We will cover about 80-100 pages every two weeks. Meetings will take place at the CUNY Graduate Center, Room 5409. The group will in all likelihood continue on to vol. 3 in the fall. Millions of young people – and increasingly some not-so-young people – now work as interns. They famously shuttle coffee in a thousand magazine offices, legislative backrooms, and Hollywood studios, but they also deliver aid inAfghanistan, map the human genome, and pick up garbage. Intern Nation is the first exposé of the exploitative world of internships. 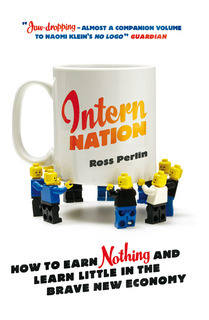 In this witty, astonishing, and serious investigative work, ROSS PERLIN profiles fellow interns, talks to academics and professionals about what unleashed this phenomenon, and explains why the intern boom is perverting workplace practices around the world. The hardcover publication of this book precipitated a torrent of media coverage in theUSandUK, and Perlin has added an entirely new afterword describing the growing focus on this woefully underreported story. Insightful and humorous, INTERN NATION will transform the way we think about the culture of work. Ross Perlin is a graduate of STANFORD, SOAS, AND CAMBRIDGE, AND HAS WRITTEN FOR, THE NEW YORK TIMES, TIME MAGAZINE, LAPHAM’S QUARTERLY, GUARDIAN, DAILY MAIL and OPEN DEMOCRACY. He is researching disappearing languages inChina.